Wind conditions vary continuously – so does the aerodynamic shape of FlexSys Smart Blade. 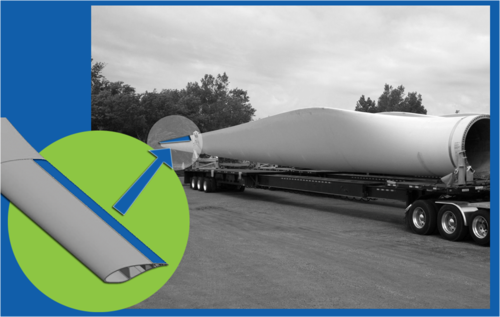 By continuously adjusting the local geometry of the blade, FlexSys Smart Blade captures 15% more energy and results in a significant reduction in stresses. Large wind turbines must operate under very turbulent and unpredictable environmental conditions. Due to sudden, compact gusts, the loads on the blades vary over intervals of time much shorter (1-3Hz) than the response times of today’s variable speed rotors or active blade pitch mechanisms, and vary over different sections of the at any given time. The resulting stochastic loads become the performance limitations and the design drivers for the blades and some components of the drive train and structure.